LED lighting has never been implemented in Oran. The current project will replace existing traditional lightbulbs with LEDs or will install new LED streetlamps on formerly unlit streets. The project currently covers two pilot streets, but the municipality plans to extend it to the entire city. 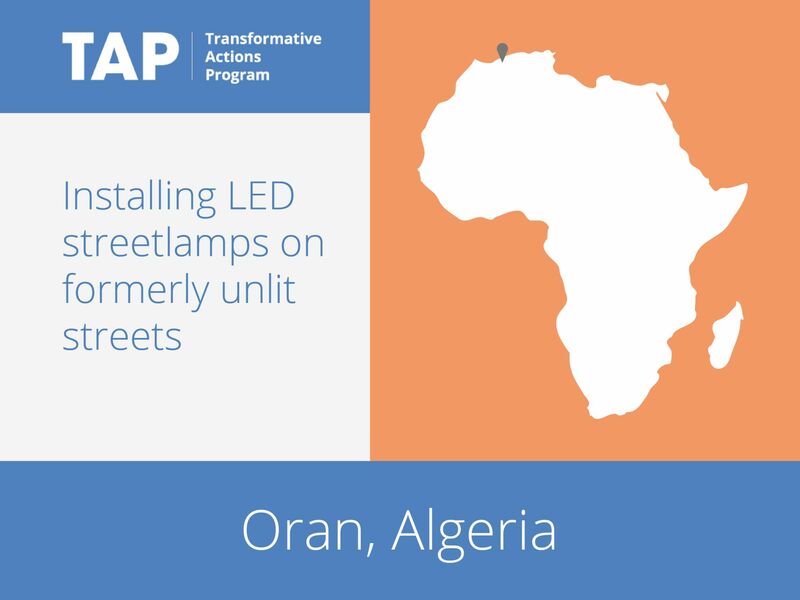 The project began with an audit of street lighting in Oran and the development of a geographic information system (GIS) for better management of street lighting. From a social perspective, the project will increase security at night by providing better lighting, which will also stimulate economic activity. From an environmental perspective, the project will reduce CO2 emissions by decreasing energy consumption.